Many people experiencing symptoms of a health condition go to see their family practitioner first. Often, a family practitioner has known a patient for a long time, and the practitioner may know the rest of the family as well. They may have a great familiarity with the patient's medical history. However, they may miss diagnoses, fail to diagnose, or fail to send a patient to a specialist. In some cases, family practitioners fail to follow up on lab results or uncertain diagnoses. If you suffer injuries as a result of family practitioner malpractice, the Chicago medical malpractice lawyers at Moll Law Group are available to help you recover compensation for your injuries. Billions of dollars have been recovered in lawsuits in which we have been involved. 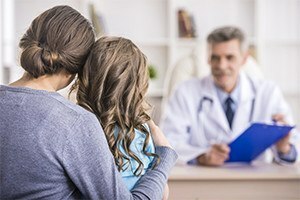 A family practitioner's malpractice may not be immediately evident, especially in cases involving a failure to diagnose or cases involving children. However, there are strict time limits within which to file a lawsuit. Generally, a medical malpractice case should be filed within two years of when you actually became aware of the malpractice or within two years of when you reasonably should have become aware of the malpractice. With the exception of certain rare circumstances, you will not be able to bring suit more than four years after the medical act or omission that you believe constituted malpractice. If your child is the one who was hurt, however, the statute of limitations is eight years or until he or she turns 22, whichever is first. It is important to consult an attorney as soon as you suspect family practitioner malpractice. In many states, including Illinois, there are pre-suit rules that require your attorney to conduct a medical records review and consult with an expert. For example, an Illinois plaintiff must file a certificate of merit with his or her complaint. The certificate of merit is an affidavit from an expert attesting that the suit is meritorious and that there are grounds to sue for malpractice, among other things. The complaint will need to allege that the family practitioner breached the accepted standard of care and that this breach was the legal cause of any injuries suffered. This will require expert testimony on causation and other elements of the claim. One commonly contested issue in medical malpractice cases concerns whether a patient would have suffered problems even if a doctor had not missed a particular diagnosis. For example, if a patient's cancer was at a relatively advanced stage, and a family practitioner missed a diagnosis or failed to refer the patient to an oncologist, the patient might have suffered the same problems or passed away anyway. If you are able to establish a family practitioner's liability, you can recover both economic and noneconomic compensatory damages. The former may include medical bills and time lost from work. The latter may include pain and suffering and loss of enjoyment, among other examples. If you were hurt or made sick by family practitioner malpractice, the Chicago attorneys at Moll Law Group are available to help you recover compensation for your injuries. Our firm represents people in Wheaton, Naperville, and Schaumburg, as well as throughout Cook County. Call us at 312-462-1700 or use our online form to set up a free consultation with an injury attorney.